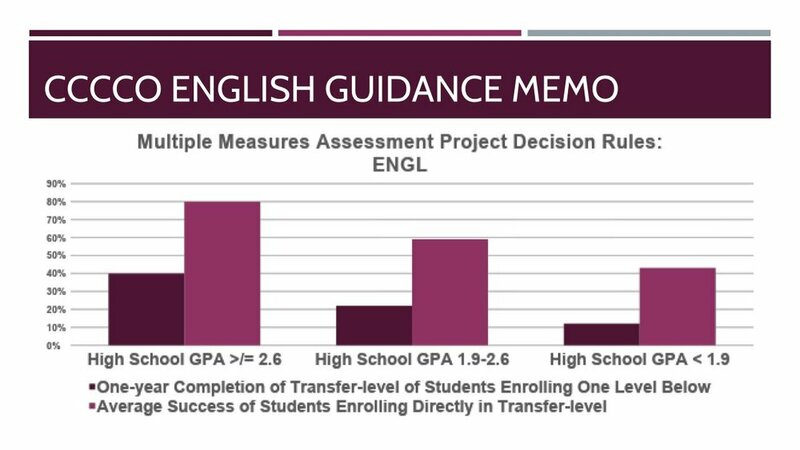 It turns out that students who earned a High School GPA between 2.6 and 1.9 are more likely to pass English if they start at transfer-level. Research suggests that you’re likely to do even better at transfer-level with additional support. Here’s a graph to show you what we mean.